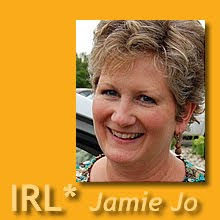 IRL*in real life with Jamie Jo: Learning Contentment - again! I’m the girl who never enjoyed camping. I don’t prefer sleeping on the ground – ever. I dislike all manner of creepy crawlies. I’ve learned to limit showers when we have water shortages, but I still expect to wash my face and brush my teeth in a proper sink. I can navigate without a toilet seat and even manage over a squatty potty when need be, but … you get the picture. I’m not the rugged outdoorsy type in the least. Hiking is not in my top ten favorite things to do. Last week I did all of these things. It was a stretch. All these years people have patted me on the back for my “sacrifice” in staying home with young children while my husband got all the glory (ha!) and adventure of visiting remote Indian villages with teams from the U.S. Now that the kids are old enough to be more or less on their own for several days at a time, my dh* has started including me in his village adventures with short-termers. The irony is that we were never together all week. I drove a separate car, I stayed in the women’s lodging, I took a separate visitation team out as a translator. We more or less shared the experience, but not exactly. This past week was one of those rugged trips where I would have enjoyed leaning on dh instead of pretending to be the strong one leading my own little group. Do I dare admit that I killed my very first scorpion? After all these years of relying on dh and dc (what are boys good for if not squashing scary bugs for their mothers? ), I was forced to act brave and do the nasty deed myself. That was the least of my concerns. It was a physically, emotionally, and spiritually exhausting week. No matter how much my flesh whined and tried to rebel, it was forced into submission. I can see why short-term teams enjoy these types of adventure trips. It’s gratifying to see what you can do when you must. It's a shame that the effect wears off so quickly. Now I'm back to (relative) civilization, but instead of being grateful for all the blessings, I'm just as frustrated with pesky little things like our bumpy dirt road and daily inconveniences as I was before I left. I did fine with all the challenges last week, so why is it the little things that make me grumble? IRL* I'm learning again how to be content with much or little, a la Philippians 4. Ha! I am so the opposite of you. I love camping! Love it! I can wash myself and my clothes in a stream and feel invigorated and happy. (As long as the stream is reasonably clean!) And I married a man who will camp, but doesn't like it and wants to camp only at campsites with full facilities including wifi. Bah. I did a hike with them the other day - 7km out and 7 more back. Out took us awhile to stop and see the views from the hills, but coming back took us one hour and ten minutes. Even my nine year old can do that pace, so yes! Big hike/camping trip coming up for us! But my parents hiked and camped, so we just inherited it. Apparently, then, camping and hiking is something you inherit. No wonder I don't "have it" at all! The prove you're not a robot thing is definitely getting out of hand. I'm amazed if anyone ever leaves a comment for that reason. Bless your heart, Jamie Jo. I'm sure you handle all of that with a lot more grace than I would have. I hope you have a few slow days. I would need it myself after killing a scorpion and sleeping on the ground. (And I'm glad I"m not the only one who has problems with the "prove you're not a robot" thing. I'd begun to think I had some disability, and that no one else had any problems with those!!!! All I can say is the "fish out of water" discomfort and the tender care which God showed for me and for others we ministered to shaped me and changed me in a way I can't even describe. I will go back a thousand times if He calls me. But if He never sends me on another ST trip (praying He certainly will!) I know that He has given me a boldness and confidence in Him that I did not have before. That is worth more that words can express!